Here are two trading book reviews that I wrote for Amazon. These are two books that contain the principles that can take a reader to the next level in their trading. These books are based on the thousands of hours that Michael Covel put into studying the best money managers in the world through interviews and mentoring. These books are priceless with the trading wisdom that they contain. And here is the best part, the Kindle editions are available for free on Amazon as a total package called the Trading the Trend Collection click through for your free download into your Kindle device or Kindle App. This is a very valuable book because it distills the wisdom of some of the world’s greatest traders into one place. Michael Covel has spent 15 years studying the methodology, risk management, and psychology of legends like Ed Seykota, Larry Hite, previous turtle traders, Paul Tudor Jones, Salem Abraham and many others. He has also studied the entire history of trend following and the writings of historical figures like Jesse Livermore, Richard Donchian, and Charles Dow. This book is compilation of the principles that real life trend followers used to make and keep millions, and for some billions in the market. Any trader should be able to pick up this book and get inside the minds of these market wizards. The problem is that many people do not “get” trend following. They ignore the success of these traders and want to opine about how it does not work, or complain that the draw downs are to large, or that these are only the “survivors” what about the trend following losers? I would like to say these are not the authors opinions these are proven principles, the success of this style of trading has been proven, draw downs occur for all traders (except for frauds like Bernie Madoff), and I do not know of any trend followers who blew up that used proper risk management. I can say from personal experience of successful trading and my own track record of capital growth at a cumulative total of over 200% in an 8 year period when the market was essentially flat, that trend following works. 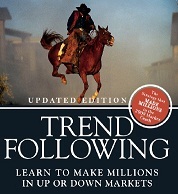 The principles of Covel’s book Trend Following was a major early influence for me. The principles I learned from Covel’s book along with the Nicolas Darvas books showed me the importance of reversing my positions and stopping losses when a trend reversed. I went to cash in January of 2008 in my main two accounts as the trend reversed and that allowed me to avoid the entire market meltdown. This book is easy to read and understand and gives you all the rules you need to begin to build your own trading plan. It does not try to predict the future or tell you what to trade, it shows you HOW to trade successfully. The principles of this book match my own book. I have also spent many years studying the most successful traders and read over 165 of the top trading books on the market and traded successfully for 12 years. Michael Covel and myself have come to the same conclusions on what leads to success in the markets. 1. Do not try to predict, react to actual price movements. 3. Always trade in the direction of the immediate trend. 4. Always have an exit strategy before you enter a trade. 5. Trade the probabilities not opinions or hunches. 6. In every trade have a limited down side but an unlimited upside. 7. You must have the discipline to follow your tested system 100%. 8. The only people that really always win with the buy and hold strategy is mutual funds by charging management fees. 9. You must be committed to your trend trading strategy for the long term. 10. 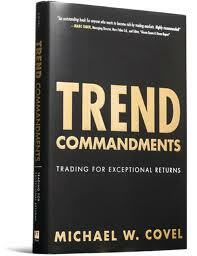 Watch financial news networks for news and entertainment, read Trend Commandments to learn how to trade. I read this book a few years ago. I thought the book was well written and had very good principles. After reading over 300 stock trading books and many books on investing, and reading this one for a second time, I have to say this book ranks at top of all trading books in my personal library. The author Michael Covel has cut through all the pundits opinions about the market and presents how the most successful money mangers and traders really make huge cumulative returns over long periods of time. How do they position themselves consistently to make money? They follow trends. They create systems that tell them when to buy or sell based on the beginning or end of a trend in a market. They are not experts on the fundamentals of any one market, they are masters of reading the action of price and volume and the direction of the trend. They cut their losses short when they are incorrect but when they are right they let the winning trade run as long as possible and sell when the trend stops and reverses. So they get the meat of the trend, not buying at the low or selling at the high but waiting for the market to tell them to get in and then get out. Jesse Livermore and Nicholas Darvas were both trend traders who made millions in their own time along with Richard Dennis, Ed Seykota, and William O’Neal of our own era. John W. Henry bought the Boston Red Sox with his profits from managing his trend following fund. The book documents records from years of successful trading for many of the managers trend following funds. Trend followers do not try to predict the future, they only follow the momentum of the market and get in or out when their system tells them. They go both long and short with no bias to either. While they may have steeper draw downs in the short term they always have high returns in the long term. They almost always find themselves positioned correctly during big events, crashes, and panics because the market was already warning by the herd behavior in one direction. 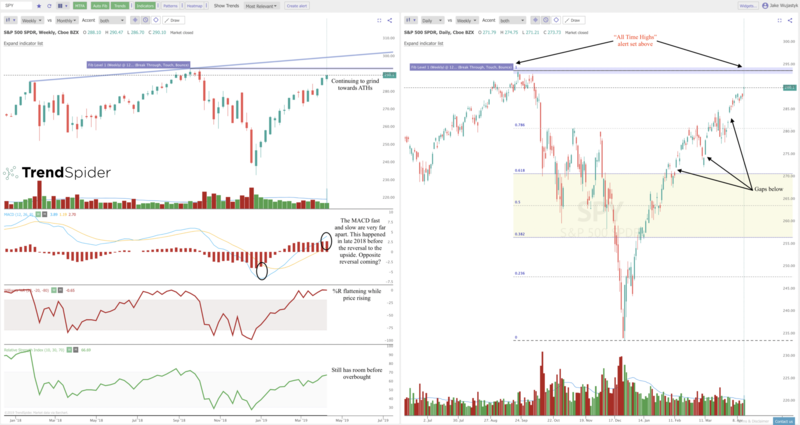 In the first week of January of 2008 with the DOW failing to make new highs and a downward trend beginning in the market on increased volume and money flowing out of the market, I made the decision to take my 401k and brokerage accounts to all cash until the trend turned back positive. I stayed in 100% cash through the collapse of the stock market all the way through March 2009. I only day traded stocks in my brokerage account, and started dollar cost averaging back into mutual funds in my 401K when the DOW was at 7500 to 6500 and back to 8100. Trend following is what helped me resist the temptation to get back into a falling market, thinking I was getting stocks cheap. I promised myself after the year 2000-2002 losses I suffered I would never give back my profits in a nasty bear market. Michael Covel’s book gave me the principles I needed to lock in my 20% annual profits I made in 2003-2007. Saving me over $100,000 in losses that would have occurred from buy and hold investing. Thank you Mr. Covel, the book is worth much more than the cover price!! !